All-in-one intelligent visitor alert system for all business and home use. 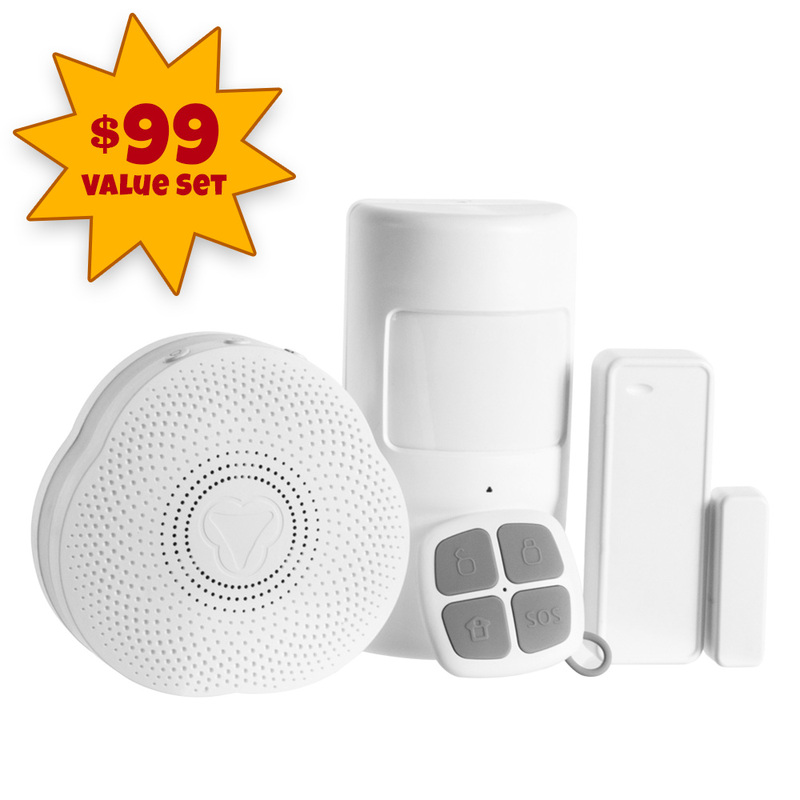 Features wireless magnetic and infrared technology that accurately detects when a vistor enters your business and triggers an alert sound. With the magnetic door sensor and motion detection you will never miss a customer walking into your business. You can even program the system to signal the light. Alarm receiver also functions as a nightlight with 3 light colors and adjustable brightness. Features 10 different musical chimes and adjustable volume control. Wireless receiver transmission can be used up to 250 feet away in open space. 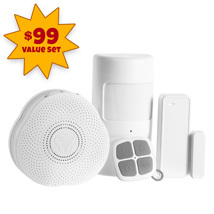 This kit includes: 1 alarm receiver, 1 pair of magnetic door sensors, 1 PIR motion detector, and a remote control. Plug the alarm receiver into a wall outlet. Download and install App to your IOS / Android phone or tablet. Follow the voice guided set up with App via Bluetooth connection. Attach the magnetic sensors to door or window. Place PIR motion detector in desired location.